Star pacer Ishant Sharma believes India can win the series in England and Australia. 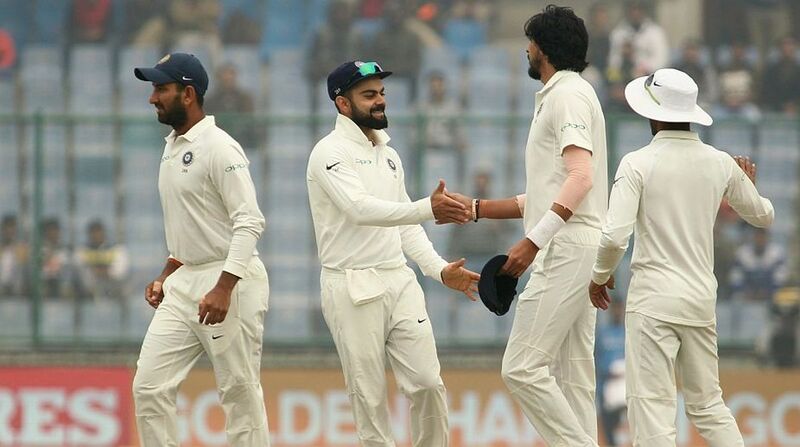 Ahead of the five-match Test series against England, Ishant Sharma also claimed that the current Indian pace attack carries the ability to lead the tourist to a series win against the English team. The 29-year-old bowlers also said Virat Kohli’s squad had a pool of eight to nine fast bowlers, making them a complete Test package. “Everybody used to say that India can’t produce fast bowlers. Now we have probably eight to nine good fast bowlers, anytime who can play Test cricket for India,” Ishant Sharma told the Daily Telegraph in an interview. Four pace bowlers were included in India’s 18-member squad for the first three match of five-match Test series starting August 1 at Edgbaston, Birmingham. The visitors have not won a Test series in England since 2007 when the Rahul Dravid-led side triumphed 1-0 a three-match series. “We have a pretty good chance to win a series in England and Australia, because of the kind of attack we have,” Ishant asserted. Unlike the subcontinent, Ishant said, the English conditions were very much favourable for pace bowling as bowlers could bowl longer spells. “The weather is so nice (in England), you can bowl long spells, the conditions are helpful. The ball is nice, the wicket is favourable. There’s a lot of difference between bowling in England and India,” Ishant observed.